Applying epoxy on your garage floor can have a great effect on an otherwise mundane look. If you do it right, you’ll get the feeling of walking into a showroom each and every time, thanks to its glossy finish. However, if you do it wrong, you’ve got one heck of a messed up floor which could cost you a lot of money to repair. There have been many people who’ve applied epoxy to their floors by getting off-the-shelf products and they’ve had mixed results with these. What you need are materials that the pros recommend to make sure you have the best quality possible. You don’t want to be one of those homeowners who’ve tried this project and ended up failing. Thus, you should strive to learn from the mistakes of others. You can do a thorough search on the Internet and find some helpful tips and tricks on how you can apply epoxy to your floors like a pro! Epoxy is meant to stay in a semi-liquid form before application, and yet it will harden over time. This is called the curing period. For some brands of epoxy, it can be an overnight process while other brands have quick curing products which usually harden within a few minutes. Epoxy also cures faster when subjected to extreme temperatures. The hotter your work area is, the faster it is going to cure. Check the curing indication on the bucket that it comes in so that you’ll know just how much time you have before it hardens into its final state. After you do this, plan out the entire area where you’re going to apply the epoxy and determine how much time you’ll need to cover the whole area. Speed is essential at this time because you’re basically trying to make sure that the epoxy you’ve poured into the tray won’t cure as quickly as the layer of epoxy you’re applying to the floor. Unless you’re just covering a small portion of your floor, there’s basically no need to get some help. But if you’re planning on covering an entire garage floor, it would be in your best interest to have an extra pair of hands. Once again, time is of the essence when applying epoxy. Having someone assist you in applying the epoxy will help you cut the application time in half, ensuring no wasted material and a fast coverage of the area. Epoxy is built to be tough, and in its liquid form, it can get into a lot of places you don’t want it to. Thus, make sure you have protective clothing on. Or if you don’t have those, wear something you won’t mind throwing away afterwards. Also, make sure you don’t step around carelessly as epoxy could get on the soles of your boots and you might accidentally end up leaving epoxy tracks everywhere in your house. Wear work-specific boots and when you’re done, take these off and slip on some other comfortable footwear to reduce the risk of bringing unwanted epoxy into your home. If epoxy does end up on the other floors in your house, make sure you spray it off immediately. Don’t allow the epoxy to cure because it is really, really hard to remove! If you think you’ll be able to reuse your rollers after your first application, then you’re in for a costly surprise. By now, you already know that epoxy hardens within a certain period of time, and it hardens on all the surfaces it touches. That goes the same for your rollers. So once your epoxy sets on your floor, you can be sure that it’s also set on your rollers. And you can’t reuse those once that happens. If you’re stubborn and you do try to reuse them, you’ll find out that the quality of your epoxy is not going to be the same as that of the one you’ve already set. Just go out and buy a whole bunch of rollers; they’re not that expensive. And if you compare that to ruining your entire floor because you’re a bit of a tightwad, shelling out a few bucks for a new roller is nothing next to the hundreds of dollars you’ll spend on redoing your entire garage floor! Applying epoxy on your garage floor is going to make it look glossy and slick! And it is going to be just that and more. The price you have to pay for a glossy garage floor is that it’s going to be slippery when it is wet. Epoxy is going to resist moisture from penetrating and this could form a light film on top of its surface. Anyone stepping on that could end up slipping and sliding. You can use an anti-slip additive to your epoxy to reduce the risk of unwanted accidents. Or you could simply mop up each time you use your garage to avoid leaving any wet patches. You wouldn’t want that anyway because it’s going to leave a mark and over time, your glossy floor is going to look blurry, which is the one thing you don’t want. 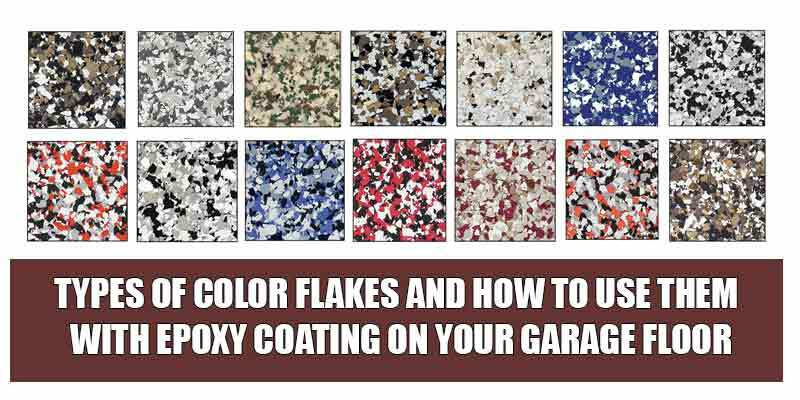 Keep these tips in mind once you’ve decided to treat your garage floor to a nice layer of epoxy. The aesthetic advantages you can get from it is worth more than the price of buying the epoxy, the rollers, and the other materials you’ll need to accomplish the project. Lastly, make sure you read the instructions as many times as you can so that you understand how to apply the product properly onto your floor. Make sure you fully understand what needs to be done because one ruined project can mean a lot of costly repair work! This is some really good information about how to lay epoxy down correctly. My fiance and I have bought a fixer-upper, and we are thinking about having concrete flooring in the basement. I am glad that you pointed out that you should use rollers to spread it around. It seems like this might be beyond my fiance and my skill level. We should probably just hire someone to do it for us. I really like your tip to check the curing period for epoxy flooring when you get it done for you. I also like your tip be careful because epoxy flooring is hard to remove. I’ve also heard that epoxy flooring can be applied with other materials that make it more water resistant or gives it more grip, I’ll have to look more into it though! It’s good to know that you should be careful when using epoxy coating because it ends up curing so strong. It’s pretty convenient that there is a material like this that you can spread on your floor to protect it. It’s important to understand how this can improve both the aesthetic look of your floor as well as make it so much easier to clean when there is a mess. 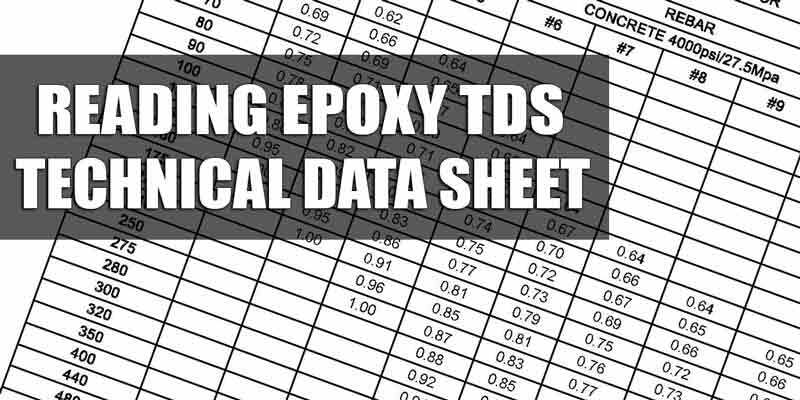 I had no idea that there was a specific time within which you needed to complete your epoxy coating. It makes sense that taking the time to do your homework carefully and read all the instructions of your materials can help you get the protections your floor needs. Personally, I would want to consult with a professional and have them help me get my floors properly coated. I never knew epoxy solidified faster in extreme temperatures. We were thinking about putting a finish on our floor, but were not sure of how long the curing period would be before it was finished. Thank you so much for the flooring tips!